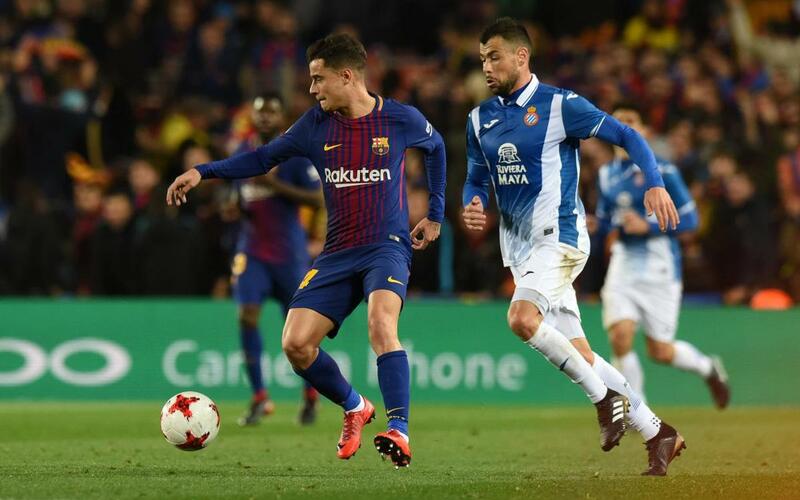 Philippe Coutinho now knows what it feels like to play for Barça at the Camp Nou, after replacing Andrés Iniesta for the final stretch of the match against Espanyol. The Brazilian took to the field on 68 minutes and received a standing ovation as he did so. He quickly settled into the game and showed his quality with three sharp one-twos and several passing combinations, one of which almost ended in a second goal for Luis Suárez. In total, Coutinho completed 25 passes and recovered the ball on three occasions. After finishing the game, he acknowledged his happiness on what was a perfect debut: "I'm very happy here and excited, and the reception I received was very special. I was anxious and nervous to begin with, but I’m very happy about the win, which was the most important thing." With their two goals against Espanyol, FC Barcelona have reached 4,000 goals in official competition at the Camp Nou. The League is the competition in which the most have been scored (2,765), whilst Lionel Messi is the player with the most goals at the stadium (307), including Thursday night’s milestone strike.